Our Interior Designers either hold a degree or are licensed and registered. They know what it takes to structurally change your space, not just what colors will work where. 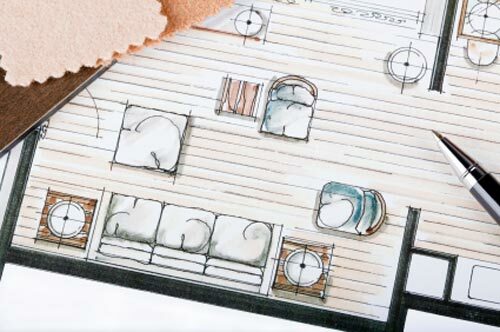 A successful interior designer will be able to connect with the homeowner so that the owner is able to get what he or she really wants. An interior designer is there to guide you, but you need to make sure he or she grasps the real you and is able to reflect your taste. Make sure your designer listens to what you want. They need to really get to know you, what your lifestyle is about, what your finished project should express about you, etc. These are all important to enable the Interior Designer to give you the end result you are looking for. The combination between the Builder and the Interior Designer is a crucial part in ensuring a smoother job. The ability to work as a team is vital. When you have an Interior Designer working on a project from the beginning alongside the builder, everyone will be in tune with what the others are doing. This helps make the most of the building materials, your available space and the building time-frames. When the Homeowner, Builder and Interior Designer are in synch, a job well done is practically a given.